Womens ring 4 large stones A ring is a round band, usually of metal, worn as ornamental jewellery. The term ring by itself always denotes the finger ring, but when worn as an ornament elsewhere, the body part is always specified, e.g. earrings, neck rings, arm rings, and toe rings. Rings always fit snugly around or in the part of the body they ornament, so bands worn loosely, like a bracelet, are not rings. Rings may be made of almost any hard material: wood, bone, stone, metal, glass, gemstone or plastic. 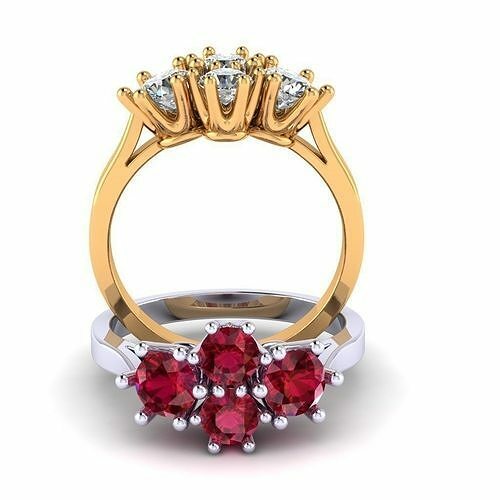 They may be set with gemstones (diamond, ruby, sapphire or emerald) or with other types of stone or glass.